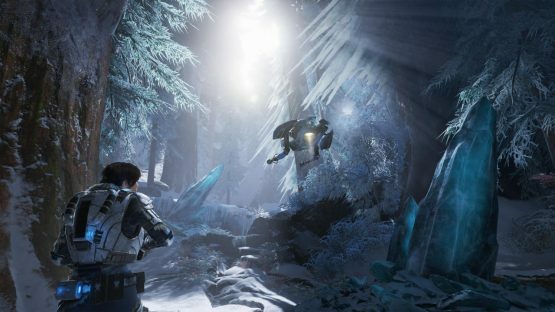 E3 2018 Conferences, Did They Deliver On The Hype? E3 2018 is finally behind us, well somewhat in the rear view mirror at least, so let’s take a look back at the week that was. Specifically looking at the conferences, we got showings from most of the big players, including Microsoft, Sony, Ubisoft, and EA. It seems like a lot of people are split on whether these were all good showings or if this was a sort of down year in terms of big reveals and amazing announcements. Sony gave us an in-depth look at their four major titles, Microsoft went heavy on the Japanese influence, Square Enix kept it short and sweet, while Bethesda and Ubisoft showed off a fair amount of content. With all this in mind, we decided to ask our writers what they thought of the conferences in general. Was it an impressive showing for the industry as a whole, or was this a year devoid of those “OMG” moments? Things started off really well, but I think overall it was kind of disappointing? Microsoft and Ubisoft were the highlights of the show for me, as shocking as that may be to say. Sony and Nintendo both showed off some great games, but their stream set up and how they went about showcasing games just kept killing off momentum. There were some really great and fun announcements at each press conference, but there just wasn’t a single “OMG” moment to be found anywhere during E3, at least for me. No one big surprise that made me go absolutely nuts. Probably the best conference for me goes to Microsoft, since they showed off more surprising PS4 games then Sony did. We’re at that point in the console life-cycles that we’re going to see big announcements start tapering off until next gen is announced. There weren’t a lot of huge announcements, but I thought this year’s show was overall a good one. Sure, there were some pacing and communication issues, but there have been far worse E3s. I think next year will be pretty slow again, before 2020 brings out the true look at next gen. I can’t say I’m disappointed by this year’s E3–in fact, most of the games shown excite me to no end. I do miss being thoroughly surprised, though. There’s a child-like glee that accompanies being caught off guard by a huge reveal, and sadly, a lot of that glee was missing this year. I wish there had been a few more brand new IP’s revealed but I suspect we’re getting a little bit too late in the console cycle for there to be too many new surprises. I adored the new Beyond Good and Evil 2 trailer – I want to play that game so much! Microsoft, Bethesda, and Nintendo (in that order) had the best showcases to me. Sony had a lot of cool trailers, but their presentation was just awful. I wasn’t blown away this year in terms of surprises. There was cool stuff, but nothing I couldn’t see coming or out of the ordinary. That said, this has been one of the most satisfying E3s in recent years due to the amount of content I’m actually looking forward to playing. I could fill up a sheet of paper with just the number of titles I want to get my hands on, from Resident Evil 2 to Super Mario Party, from Daemon X Machina to Dragon Quest XI and beyond. There’s something that wedges into each of my favorite niches, and that almost never happens. There were only two conferences that I watched in full (Sony and Microsoft), so I’ll keep things brief. Microsoft’s showcase was really impressive, though I’m a little apprehensive about Ninja Theory being drafted into Microsoft Studios. For Sony, we always knew its briefing would narrow the focus to four titles, it was more the pacing and lengthy intermissions that killed off any sense of momentum – particularly for those viewers watching along at home who weren’t able to experience the admittedly cool stagecraft as intended. I’m surprised I actually caught a cold this year at E3, I rarely ever do. As for the show itself, it wasn’t chock-full of surprises, and as usual smaller titles caught my attention, like State of Mind. Part of me also wanted to see new hardware announced, but now I’m glad that wasn’t the case so my wallet can breathe a sign of relief. Lack of surprise reveals and jaw-dropping moments is my biggest disappointment. Previous E3s had major announcements, new IPs, new indie games, more triple-A games, just more games in general. In all honesty, Unravel Two felt like the only genuine surprise. The Last of Us Part II and Ghost of Tsushima look fabulous. Otherwise, the E3 2018 was just one massive scream from publishers and developers: “we are not ready, so see you in 2019!” Also, not having any Cyberpunk 2077 gameplay footage or even a single snapshot ready for the public seemed a bit unfair. I think E3 just doesn’t excite me anymore. I look forward to the Tokyo Game Show a lot more than E3. That said, Sony’s conference this year was pretty average. Microsoft did well. Overall, nothing stood out to me except Cyberpunk 2077‘s reveal. 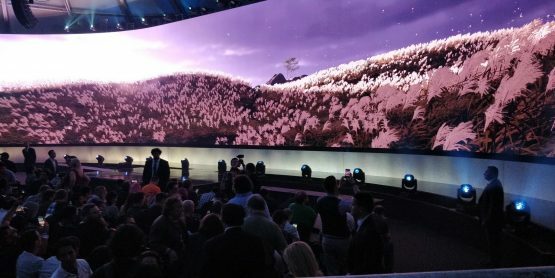 What did you think of the E3 2018 conferences? Which PSLS staff member does your opinion line up with? Whether we’re winding down on this gen or it was just a slower year, another E3 is finally on the books. We’re already anticipating what surprises next year may hold.